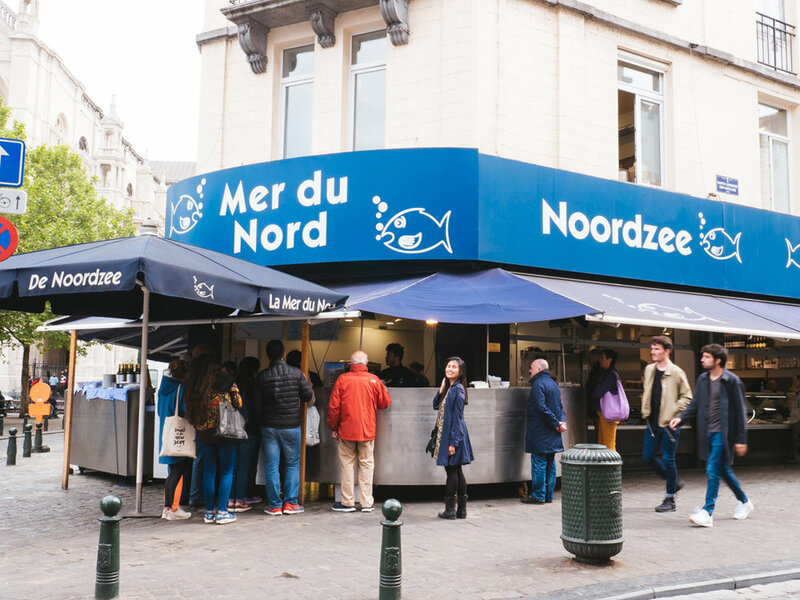 Noordzee: Amazing Seafood In Brussels — Now That's a Honeymoon! 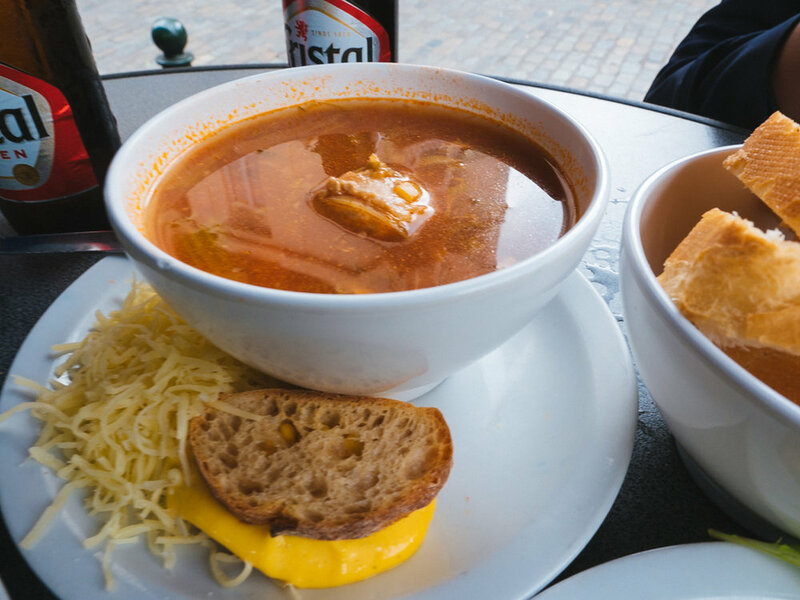 Our 3-day trip to Belgium was no short of amazing local dishes, fresh seafood, and world-famous variety of beers. Belgium is definitely the place to visit when you're up for a weekend getaway - you can relax, dine, and party! We arrived in Brussels on a Friday morning. After checking in at our hotel, we immediately looked for a place to have lunch. 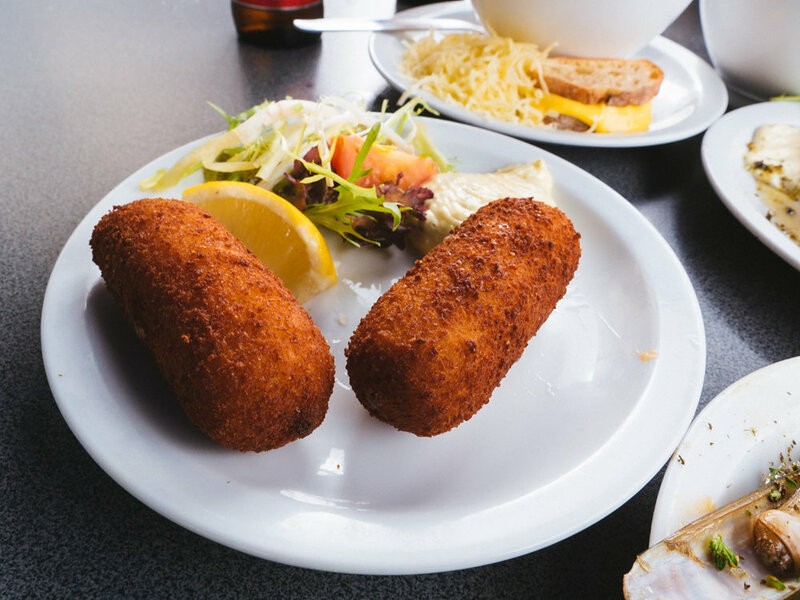 I have to admit, after reading and watching so much about food in Belgium, Dexter and I had high expectations of its food culture. Gladly we stumbled upon Noordzee - Mer du Nord and it was the kind of ‘welcome lunch’ I expected to have as our first meal in Brussels. Located in Place Sainte-Catherine, Noordzee is a 10-minute walk from Grand-Place. 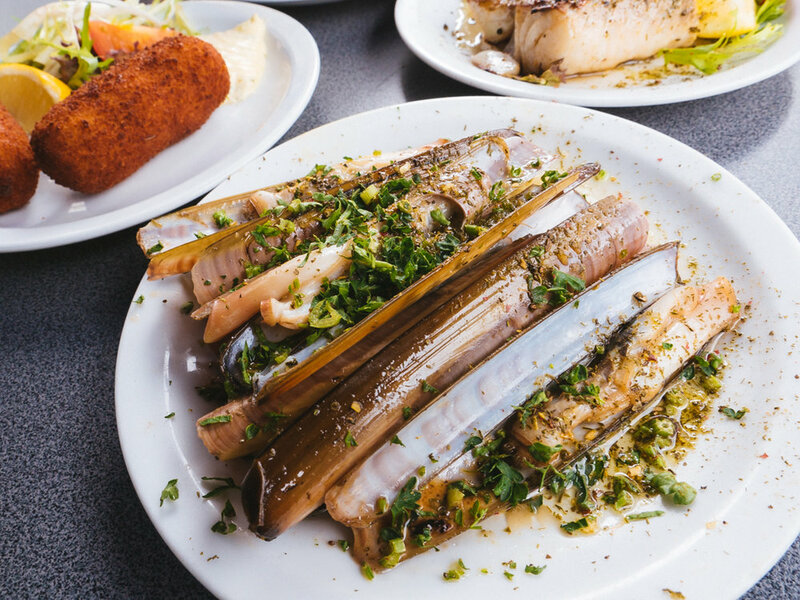 If you follow your nose you’ll literally smell grilled seafood in the air and it will lead you directly ‘round the corner to where the fish stall is. Don’t be disappointed with the menu written in French/Flemish on a white board, the staff speak English! One of the staff realised that there were a few English-speaking tourists who had confused looks on their faces (that includes us of course) so he all took us to one side where the window display was. He patiently explained what dishes they make out of the seafood! We ordered fish soup, croquettes, razor clams, grilled fish, and beers. After paying at the counter we were asked to wait until our name is called to get our food. Dining al fresco made the experience exceptional, we situated ourselves amongst the round high tables underneath big umbrellas just across Noordzee. It was the kind of setting where you can enjoy people-watching, with a beer in one hand, and all this great food right in front of you to completely devour! Food was really, really good. It’s outdoor street food dining, yet high-quality cooking at its best. 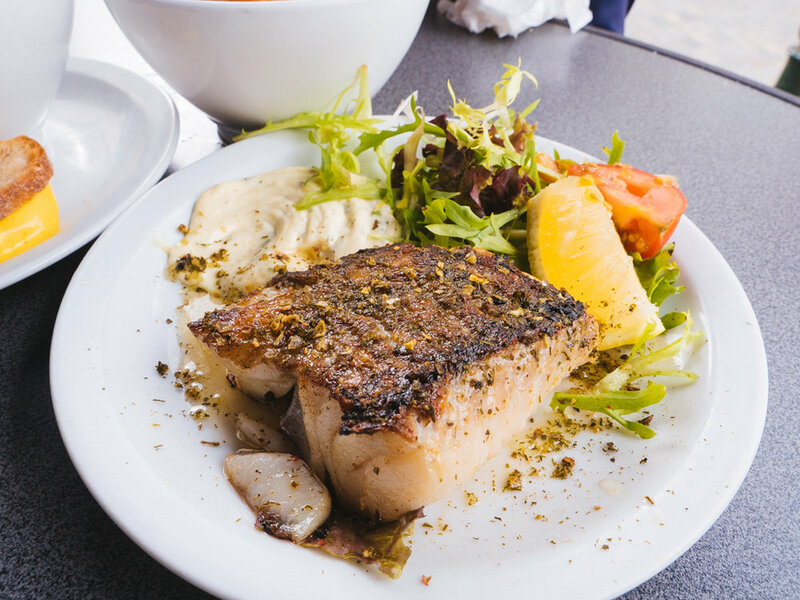 Dishes were served in small plates and they quickly disappear right before your eyes because everything was fresh, flavourful, and cooked to perfection. A highly recommended fish bar, without a doubt.